Successfully Added Redmi Note 4 Smartphone - Android 6.0, Helio X20 CPU, 4GB RAM, 64GB Memory, 4G, 5.5 Inch FHD, 13.0MP Camera, Fingerprint (Black) to your Shopping Cart. 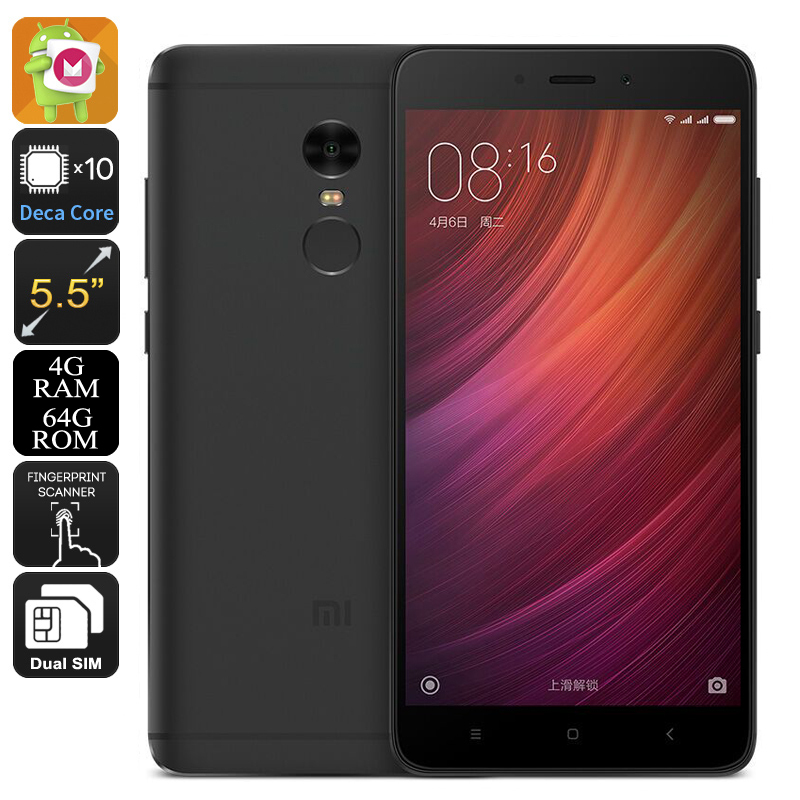 The Xiaomi Redmi Note 4 is an Android phone that packs significant power in a sleek body. With its Deca-Core CPU that has been clocked at 2.1GHz, this Android smartphone is capable of dealing with the most demanding Applications. No matter what you use it for – this Android smartphone is guaranteed to meet all your mobile demands. This Android phone comes with 64GB of internal memory and an SD card slot that supports up to 128GB to store all your files. In order to provide you with the best connectivity, this Android phone has Dual-SIM card slots and two IMEI numbers. Additionally, it supports 4G connectivity. On the cell phone’s 5.5 Inch display, you can browse the web and enjoy all your favorite media stunning FHD resolution. Its 4100mAh battery additionally provides you with plenty of juice to enjoy your phone for up to 10 hours continuously. This will get you through the most intense smartphone days without needing to recharge your Android device. This Android smartphone features the MIUI 8 interface that has been based on Android 6.0. Thanks to this, you can treat yourself with the latest Android software features available on today’s market. The cell phone furthermore comes with a state of the art fingerprint scanner that offers high security. Its intergraded 13MP camera lets you snap stunning pictures. With this Android phone, not a single special moment in life will pass be uncaptured.